In this post, we'll explore each of these factors in more detail, providing insight into why our healthcare system is facing these setbacks and how all of this should factor into your physician referral strategy. Our healthcare system has been experiencing a physician shortage for some time now. According to a 2016 report published by the Association of American Medical Colleges, non-primary care specialties are expected to experience a shortfall of between 37,400 and 60,300 physicians by 2025. With the supply of specialist providers decreasing, our healthcare system is unable to keep up with the increasing demand for specialty care services. Limited specialists create an increase in patient volume, making timely access difficult to achieve. Certain specialties may experience more of a shortage than others. Before joining the Stratasan team, I worked as a physician liaison at a children’s hospital and saw firsthand how pediatric dermatology is among the specialties that face these shortages. While many dermatologists treat both adult and pediatric patients, a sole specialization in pediatric dermatology is rare. Working in a city with only one specialist in the tri-county area, you can imagine how challenging it is for patients to be seen in a timely manner and most certainly not within 30 days. Another contributing factor is the vast number of physicians across all non-primary care specialties reaching retirement age adding to the troubling decline in available specialists. With so many specialists leaving the workforce, one would only hope that there are just as many entering the field to, at the very least, create some sort of balance. Unfortunately, that is not the case. More people entering the medical field are taking a different route, studying to be physician assistants or nurse practitioners. Such career paths require far less schooling and less student loan debt. Nevertheless, hospitals need to recruit new specialists to fill the shoes of those retiring. For this reason, physician liaisons are interested to know the medical school graduation dates of doctors in their areas. Stratasan’s physician relations tool, Physician Patterns, provides the graduation year, allowing for more proactive planning around this physician succession. In March 2010, President Obama signed the Affordable Care Act (ACA) into law. Many changes were made to the U.S. healthcare system with this policy, one of which was to expand access to healthcare coverage. The mandate for all US citizens to acquire health insurance dramatically increased the number of Americans with coverage, in hopes of decreasing emergency room visits, as people would have access to primary care as opposed to waiting until emergency services are needed. Sadly, however, the millions of newly insured people have put an even bigger strain on the already unbalanced healthcare system. With more people having access to health insurance, their ability to actually receive the healthcare services they need has proven to be a challenge. While the access to healthcare has been expanded, the rate of new providers being added to the system has not matched the growing need for care, which means, the rise in coverage has created even longer wait times to see providers. Physicians are unable to manage their overwhelmingly new patient load, resulting in long wait times for appointments and rushed office visits which could inadvertently cause misdiagnosing patients, increasing the possibility of adverse medical effects. The baby boomer population has also contributed to the rise in patient volume. Baby boomers represent close to one-quarter of the estimated U.S. population and as they age, the number of Americans over 65 years old increases. People 65 and older utilize healthcare services the most, putting even more pressure on the system to meet the high demand. A higher proportion of this population also suffers from chronic conditions like diabetes, creating an even greater need for endocrinologist specialists. Patients often experience delays when trying to receive healthcare services due to insurance company issues and restrictions. Patients are limited to seeing physicians who accept their insurance unless they choose to seek care outside of their network at a heavy price. Providers that accept many insurance plans may be more “backed up” with patients leaving patients no choice but to schedule an appointment weeks, sometimes months, out. While more Americans have health insurance, many also have sky-high deductibles as part of their plan. These high deductibles make people hesitant to use their insurance because they simply can’t afford to do so. When patients are in need of specialty care, as suggested by their primary care physician, they may find themselves stalling the process as they are unsure whether or not they can afford to receive such costly care. The referral process isn’t a quick one. In fact, it is quite the opposite. Patients often find themselves bouncing from provider to provider until they find one who is able to meet their needs. Since patients may see various healthcare providers between their PCP and recommended specialist, patients may be unlikely to make their way from their PCP to a specialist within 30 days. Taking this into account as a physician liaison, it is more beneficial to review referral patterns over a 60-day window versus a 30-day window. This longer time period takes into account the multi-step referral process that takes place in our healthcare system. Using a longer timeframe to evaluate referrals, physician liaisons will be more equipped to identify PCPs that are referring to their providers and those who aren’t, helping them target the right physicians for fruitful conversations. Long wait times for patients may be beyond our control, but providing a tool that can track your physician referral patterns in the timeframe you need is something Stratasan can deliver. Stratasan’s Physician Patterns platform provides marketing, business development, strategic planning, and physician relations teams across the country with valuable data regarding physician referral patterns. Physician liaisons are able to use this data to identify physician-to-physician referrals, from both an inbound and outbound perspective. Knowing where physicians are receiving and sending their patients helps physician liaisons identify physician’s referral patterns, patient interactions, facility loyalties and healthcare system connections. This quick and easy-to-use software allows physician liaisons to spend more time in the field, focusing on building meaningful relationships with physicians. Developing meaningful relationships with physicians drives more patient referrals to your hospital, in turn, increasing your revenue. Until just recently, Physician Patterns showed referral patterns between two physicians within a 30-day window. A recent update now displays these patterns within a 60-day window. The previous methodology assumed that a patient saw provider A and provider B within 30 days. Unfortunately, as we’ve seen in this post, patients are often unlikely to be seen by provider B within such a short time frame. As the healthcare system has evolved and longer wait times have become the reality, Physician Patterns has expanded to more closely match how our health system operates. 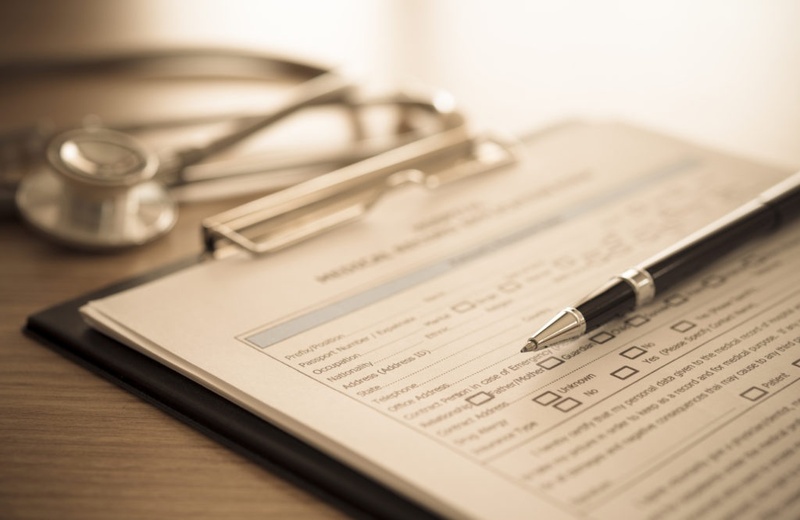 The goal of a physician referral tool, such as Physician Patterns, is to provide more comprehensive data on physician referrals, conveying an accurate picture of a patient’s referral journey. The switch from the 30-day to the 60-day physician referral window will allow physician liaisons to enhance their relationships with local physicians, driving more patient referrals to their hospital, increasing volume for their product lines, and achieving impactful strategic growth. If you need help improving your physician relations strategy, request a meeting with Sean Conway via Calendly.